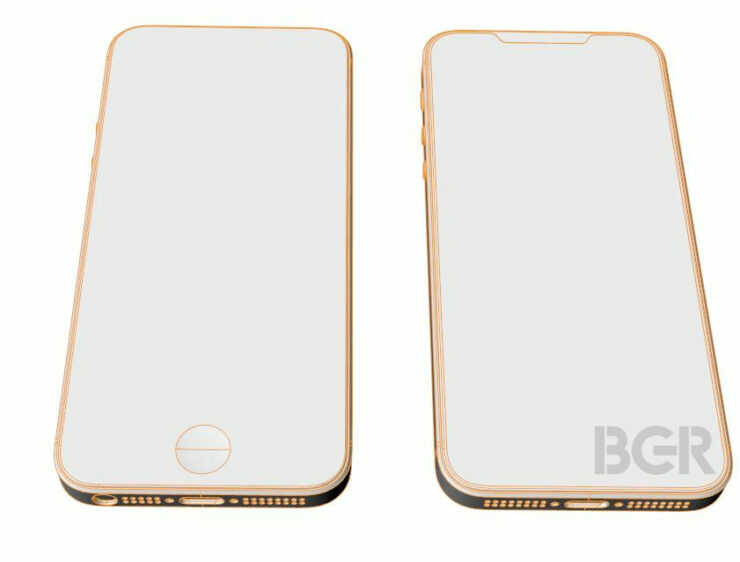 Latest iPhone SE 2 Front Schematics Reiterate Claims Of A Bezel Free, Notched Display; Will Apple Really Cannibalize Top-Tier iPhones? Apple just sent out invites for an education related event on the 27th of this month. This will debut new iPads, according to current industry sentiment. However, while analysts and other sources are busy speculating on upcoming iPads and MacBooks, these are not the only Apple products which have surfaced on the rumor mill so far. A couple of days back, a highly suspicious video surfaced out of China. 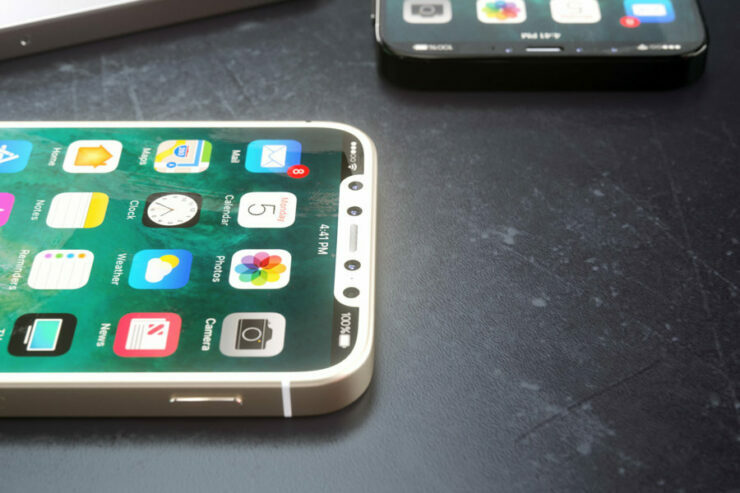 It featured an iPhone with a notch and a form factor which resembles the iPhone SE. This, led to the more optimistic among us laying hope for such a device launching in the upcoming months. Now, things get a bit more confusing. How so? Take a look below to find out. Fresh iPhone SE 2 Front Schematic From A Trusted Source Corroborate Earlier Speculation Of A Notched Design; Will Apple Really Dilute Its Crown Jewel Of Features So Soon? Apple, with the iPhone X, put every other flagship smartphone manufacturer on the back-foot. The smartphone’s True Depth camera is one of a kind, unparalleled in terms of security and accessibility. All these also drive up the price tag, with the iPhone X Apple’s most expensive smartphone to date. So, when a video leak claimed to show an iPhone SE 2 with a display notch which allegedly houses the True Depth setup, we were naturally skeptical. After all, it is highly unlikely for Apple to bring one of its greatest smartphone features in iPhone history to a middle tier smartphone. Unless it wants to effectively and completely cannibalize the iPhones 7, 7 Plus, 8 and 8 Plus. 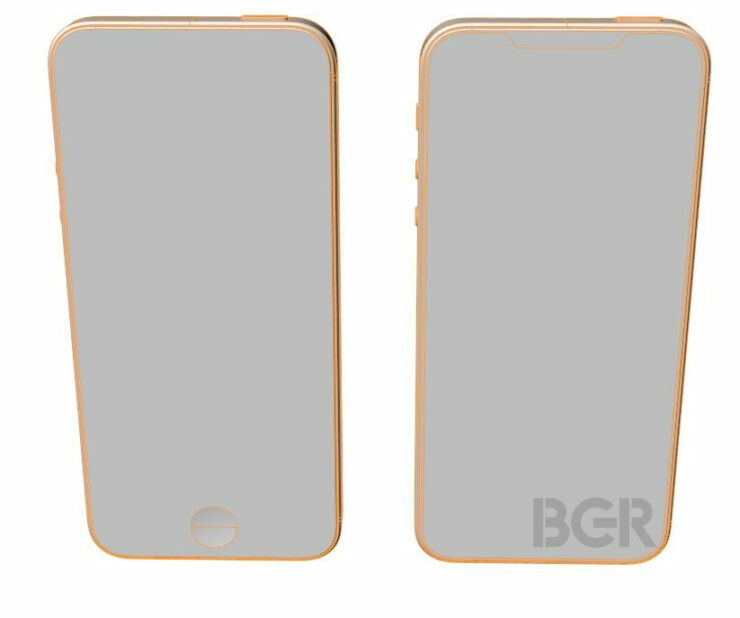 However, just as we settle down with this very convincing logic, a latest schematic for the alleged iPhone SE 2’s front facade comes to light. To make things even more interesting, the source of these images is not a random Weibo. Instead, it’s BGR, who claim that they’ve had this particular source share authentic details in the past. In the images above, the smartphone on the left is Apple’s current iPhone SE. The one on the right, as you’d have guessed, is its rumored successor. Look closely at this device and you will spot a notch; whether this will house a True Depth setup or not, is a completely different question. Right now, our advice is to take all these leaks with a boatload of salt. Even if Apple does debut a bezel free display on the iPhone SE’s successor, Cupertino will not equip the smartphone’s notch with Facial Recognition. Honestly speaking, we have no idea what to make of these leaks at the moment. All we can hope for is future corroboration or correction. Thoughts? Let us know what you think in the comments section below and stay tuned. We’ll keep you updated on the latest.